Light Flow in the Streets. Festival of Light Lux Helsinki. Light Flow in the City Streets. 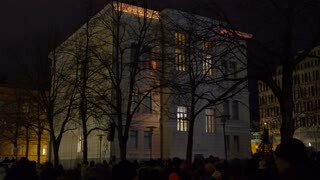 Festival of Light Lux Helsinki. Animated Light Installation on the Street. Festival of Light Lux Helsinki. 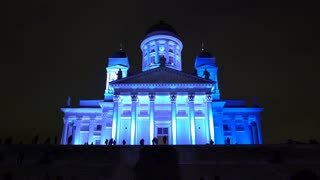 Light Show at the Senate Square in Helsinki. Festival of Light Lux Helsinki. 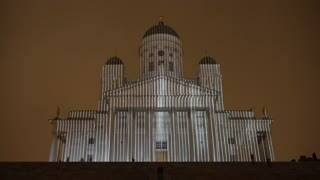 Light Installation on the Facade of the Cathedral of Helsinki. Festival of Light Lux Helsinki.